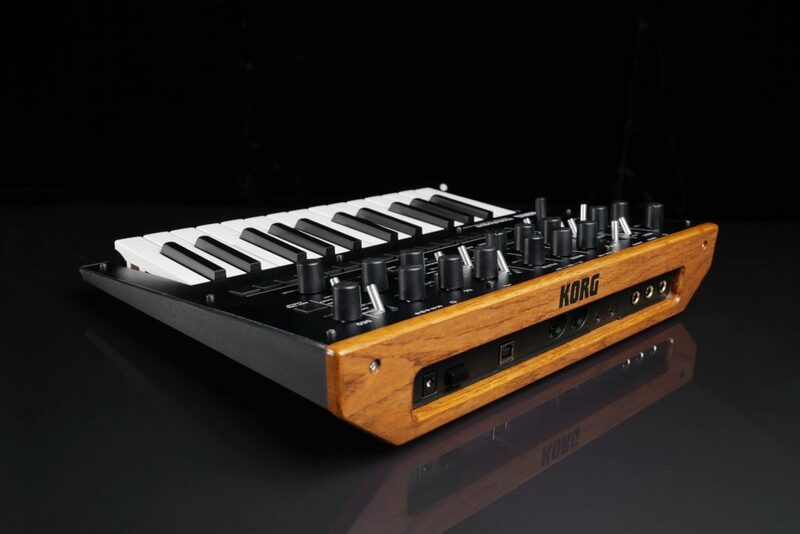 A 25-key, monophonic version of Korg’s clever 4-voice Minilogue polysynth wouldn’t be a bad idea. And it’s what you’d expect, given the Minilogue came out only at the beginning of this year. But that’s not what the Monologue is. 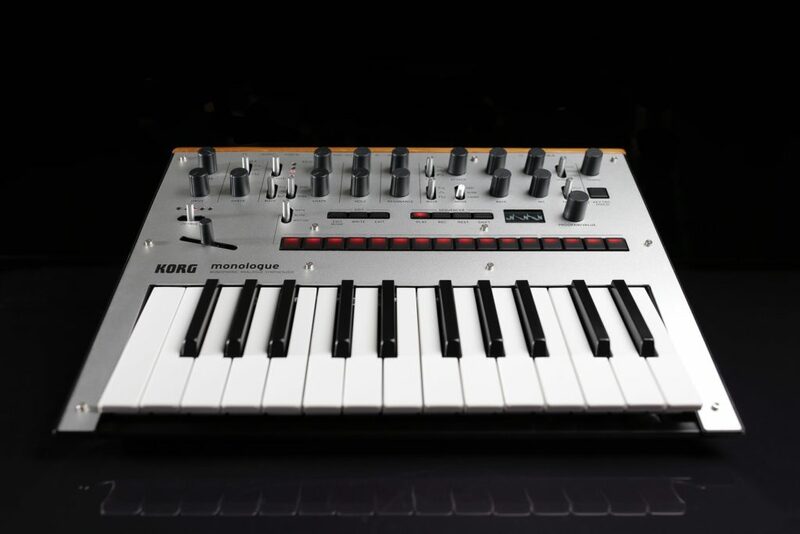 No, the Monologue is more a sequel to the Minilogue than it is just one with less keys and voices. And there are a number of smart ideas here. The LFO can go super fast or act as a one-shot. Also for more mono edge, there’s “unprecedented, ultra-high-speed” LFO rate, or a “one-shot” LFO that lets it act effectively as an extra envelope generator. Wait, ultra, ultra-high speed? Unprecedented? The step sequencer has more buttons and more power. 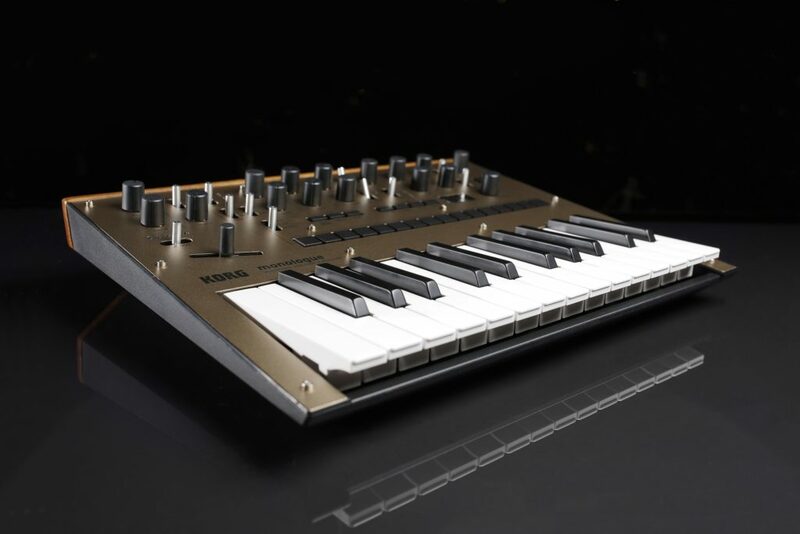 The original minilogue had SH-101 style compact controls. 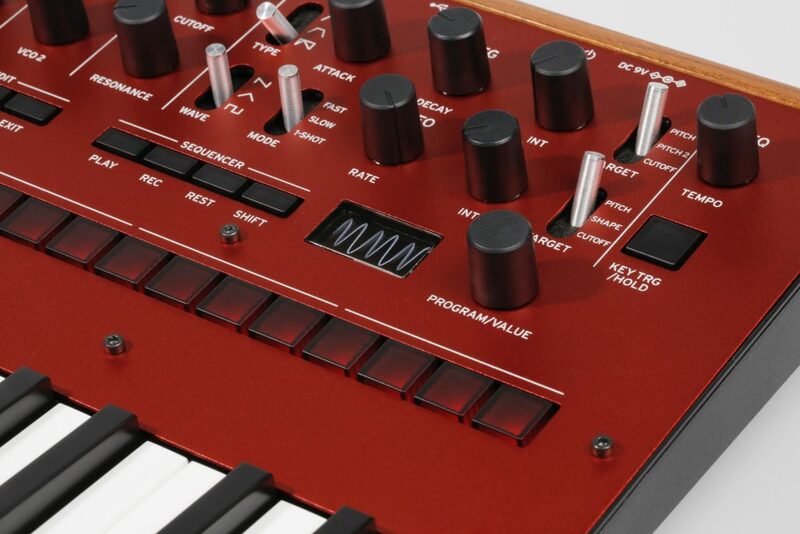 Now, normally a synth that’s smaller would have fewer controls. Here, it has more. So you get 16 dedicated buttons for each step instead of having to advance through manually. It runs on batteries. 6xAA batteries, just like the volca series. 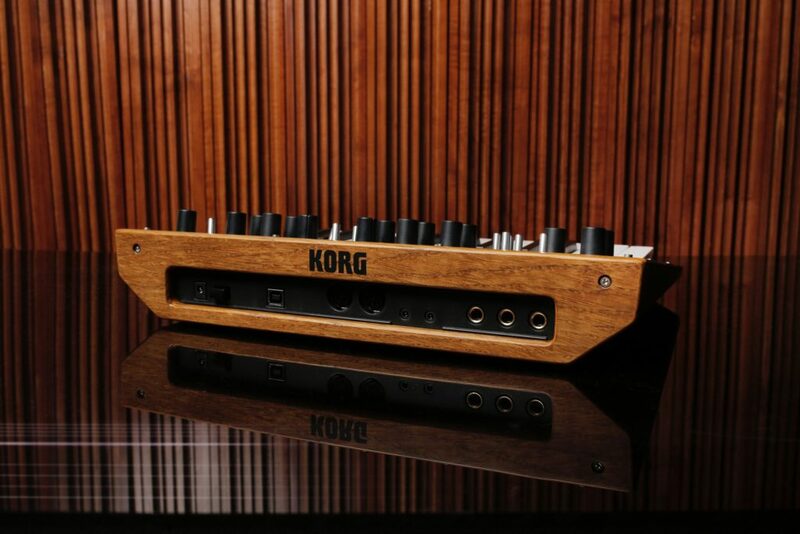 KORG says to expect 6-8 hours battery life (8 hours on NiMH batteries rather than alkaline). It runs E to E. Aimed at bassists rather than keyboardists, there’s a more logical low E note. Smart. It comes in colors. Silver, Black, Red, Dark Blue, Gold, just in case this wasn’t going to sell enough already. There’s microtuning – and Aphex Twin was involved. Our friend Ben Rogerson at MusicRadar gets the scoop here. There’s factory tuning and 12 slots for your own, and according to Ben’s report, Aphex Twin created some of those scales and was involved as an advisor on implementation. 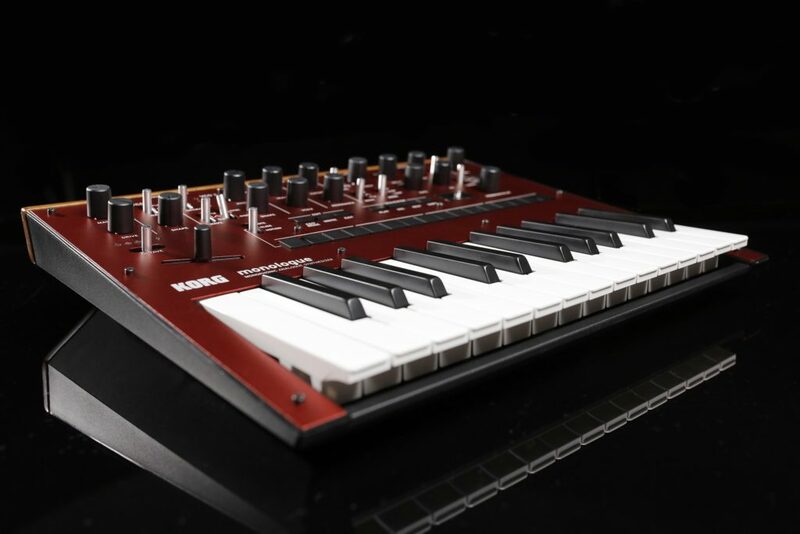 I really hope this shows up in a firmware update for the original Minilogue, too. It’s only three hundred bucks. Again, they could have just cut off the extra keys and sold this thing like crazy at that price. 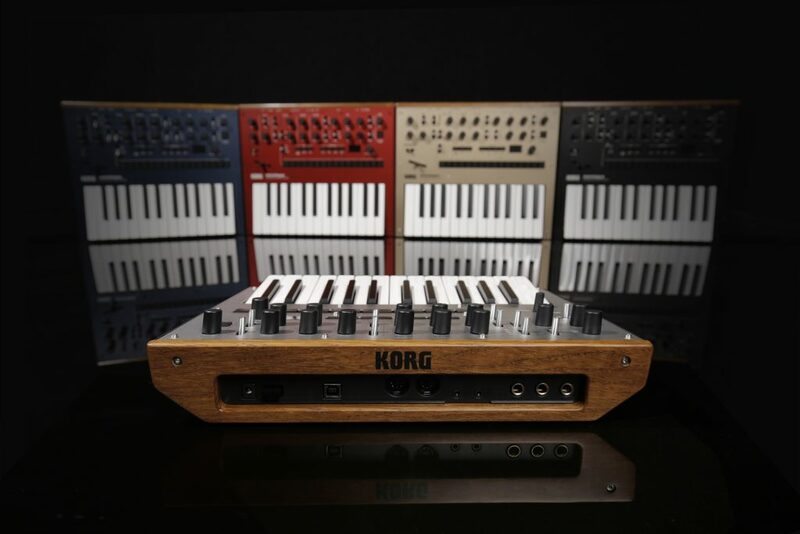 But kudos to KORG for getting more creative than that. And it’s otherwise mostly a minilogue. Everything else is as expected – but with surprisingly few compromises. It’s got the same metal top, same wood back. It’s got the same fun approach to synthesis. There’s even the same connectivity (sync in and out, MIDI in and out via both 5-pin and USB connection, audio in).